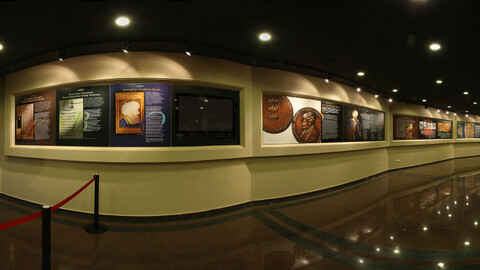 The content was prepared by Associate Professor Dr. Erhan Afyoncu and Assistant Professor Doctor Coşkun Yılmaz, and consultant of the exhibition is the Architect M. Hilmi Şenalp and the designer is Özkul Eren. 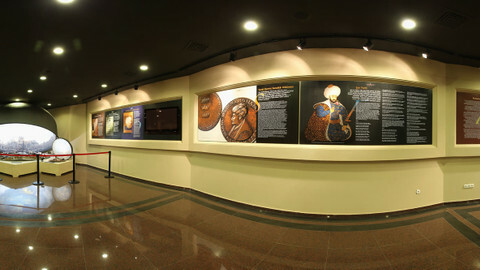 Modern miniature works that narrate the establishment of the city of Istanbul, the siege and conquest of the city, the life of Fatih Sultan Mehmed the Conqueror, the laws, arts, civilisation, culture and construction works of the city, take place at the exhibition as supported with the original miniatures, engraving and pictures of the wars in a present perspective. 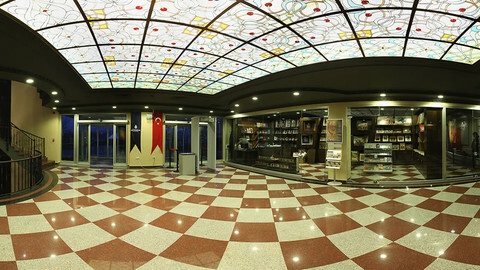 And entrance of the platform where the panoramic picture exists begins at the end of the exhibition. At the end of a short and dark corridor, the visitors will find themselves at the dawn of May 29, 1453, and bear witness to the moment of stepping in the city. Led by Haşim Vatandaş, the picture was drawn by a group of artists, composed of Ramazan Erkut, Ahmet Kaya, Oksana Legka, Yaşar Zeynalov, Hasan H. Dinçer, Atilla Tunca and Murat Efe, and applied onto a hemisphere of 38 m diameter. The interior of the hemisphere is covered by the picture and it is 2350 cubic meter, the distance between the picture and the visitors' platform reaches the size of 650 sqm, and captures the visitors from all aspects and directions. 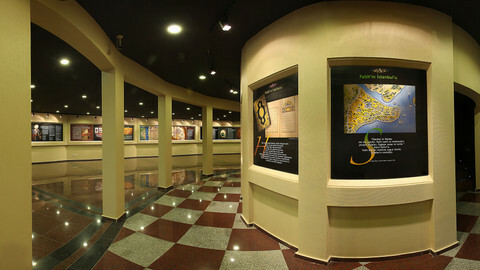 What differs Panorama 1453 Museum of History from other panoramic museums is this picture in particular. No matter how much depth and 3D perception does a picture, which has a frame and boundary, arouses, one could understand how far it is simply because the frame or the boundary are visible. The work exhibited at Panorama 1453 Museum of History has no place where the picture ends, a visitor that watches it will not be able to perceive the real dimension with its optical habits. The visitor will have 10 seconds of shock as soon as he or she gets on the platform. 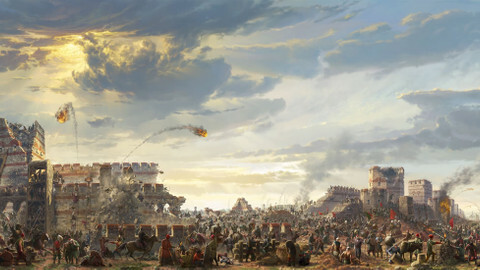 This is derived from not finding references, and reference points such as the beginning and ending that would help to perceive the reality and dimensions of the picture. This place makes visitors feel as if they go out to a 3D outdoor space although he or she has already entered in the indoor space. 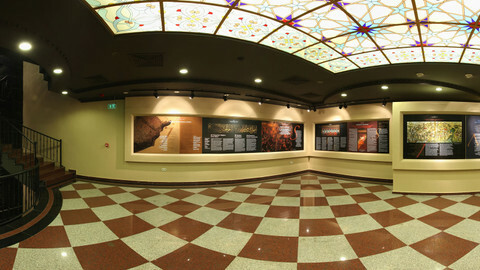 As it is a full panoramic picture, Panorama 1453 Museum of History enables the visitors on the platform to discover and understand the heart and soul of thousands of soldiers of Sultan Mehmed III say Allahuakbar with the company of the Janissary March. The picture contains 10.000 figures of drawings. One would understand how far a picture that has a frame and boundary stands no matter how deep and 3 dimensional it appears to be as long as you see the frame or the boundary. 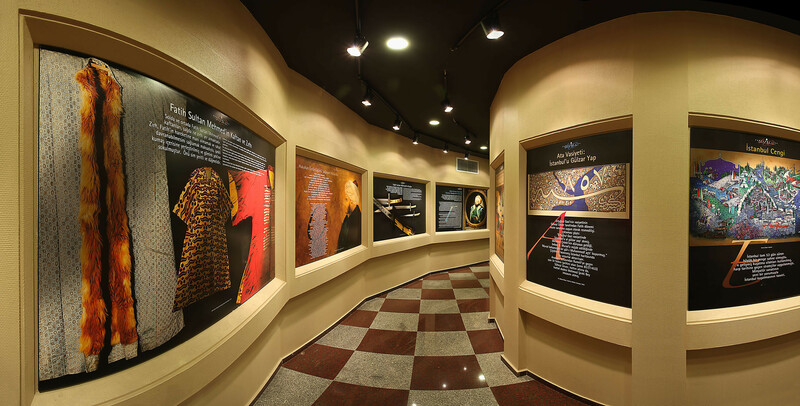 However, the work exhibited at “Istanbul 1453 Panoramic Museum” has no ending, therefore the visitor that watches the picture cannot perceive the actual dimensions of it with the optical habits. The visitor will have 10 seconds of shock as soon as he or she gets on the platform. 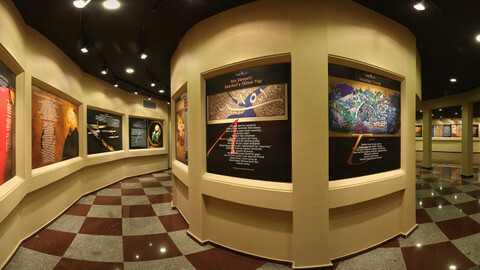 This is derived from not finding references, and reference points such as the beginning and ending that would help to perceive the reality and dimensions of the picture.This place makes visitors feel as if they go out to a 3D outdoor space although he or she has already entered in the indoor space. 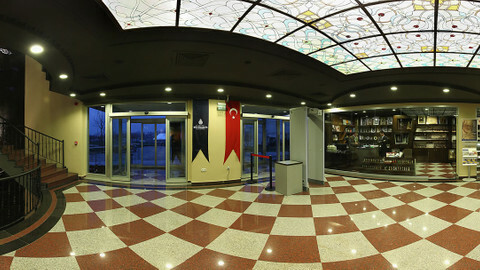 The area selected and preferred for the construction of Panorama 1453 Museum of History is also meaningful because the museum rises on the area that used to be the Thrace Terminal in Topkapı and is situated inside Topkapı Culture Park today, a place that witness the initial points through which the soldiers entered in the city. 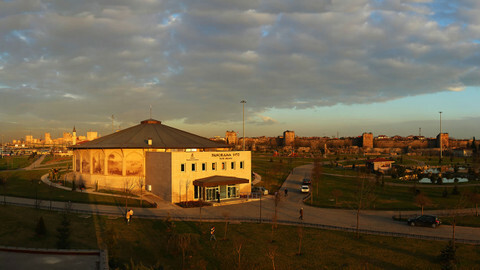 From the point where the museum stands, one would see the city walls of Edirnekapı on the left hand side, and the city walls of Topkapı, that is, the gateway through which the soldiers of the Ottoman Empire entered the city for the first operation that renamed Konstantiniyy as Islambol and finally as Istanbul, across to it, and the city walls of Silivrikapı on the right hand side. The young and the elder from 7 to 70 experience the phenomenon of the conquest in the most efficient manner at the museum, have the opportunity of examining these city walls in "three to five steps of distance", breathing the air at the areas where quarters were set up, and also have recreation and relaxation inside Topkapı Culture Park where the museum is located.